I never once doubted that we all had a Guardian Angel to protect us. One who watched over us, kept us out of harms way and helped us stay on our path. Over time I came to see departed loved ones as additional 'Angels on our Shoulders' and for my confirmation I studied the stories of all the Saints to help me determine which Saint name I would take for my confirmation. 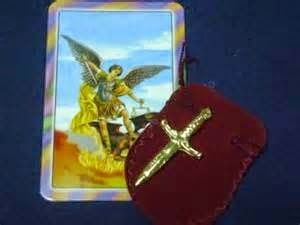 I read them all, and returned to class resolute that I wanted 'Saint/Archangel Michael'. I was none to happy to be laughed at by my teacher and class at my audacity and silliness to think I could take a male name. But I loved his story, he stood before the enemy, not just any enemy, THE ENEMY and won! Surely I possessed the same courage? My little inner feminist was not happy when I was told I had to select another Saint, A Female Saint. Not that their stories weren't equally powerful, but they didn't resonate as powerfully with me as Michael's story of defeating the ultimate enemy had. When the opportunity presented itself to read a book whose central theme was 'the love between a human and an archangel' and not just any archangel, but MY Archangel, MY Michael I just had to read it! 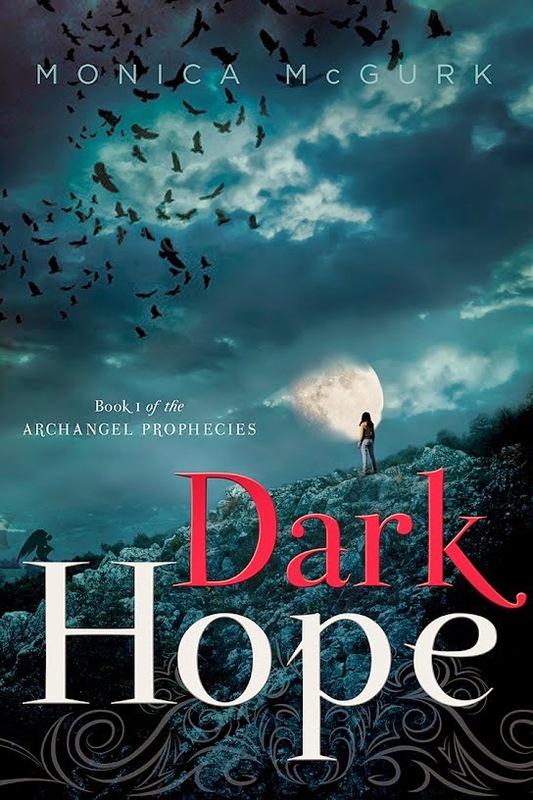 Dark Hope: Book One in the Archangel Prophesies by Monica McGurk is categorized as a Young Adult Fantasy Novel, but it certainly touches on some very 'grown up' and important themes. Note: A portion of proceeds from this book will be donated to organizations that fight human trafficking. Now you know there is nothing that makes Ascending Butterfly happier than a 'Give Back' opportunity, A total win/win in my book. A great read for YOU and you are doing something to help victims of human trafficking as well. I am not going to give out any spoilers, I will say this is a must read. Even if YA is not your usual type of read I would highly urge you to give this book a try, it is a total page turner, and in my opinion is very much respectful to the Church, to how it handles biblical references and surprisingly to how it handles the story line between Michael and Hope. I really wanted to be mad at it, how dare they make MY Michael a romantic protagonist? and seriously with a teen no less? But Butterflies, the writing is TIGHT and the author does make so many unlikely and disparate elements come together cohesively. And in my opinion if it helps to shed light on just how rampant and dangerous the Sexual Trafficking Industry really is then all the better. I know it's not always easy to talk difficult topics, but if you are letting your teen read this, (my personal opinion is that YOU read it first just to make sure you feel comfortable), then use the book as a talking point to teach your teen to be careful in social situations and of their surroundings. Our awesome friends at Clever Girls Collective and the Greenleaf Book Group, want one lucky butterfly to win their own copy of this month's Book Club title, so use the rafflecopter form below to enter; and as always, the main entry is easy peasy! FTC Disclosure: I was selected for this opportunity as a member of Clever Girls Collective and this is a sponsored post, the content and opinions expressed here are all my own. Sponsor will be fulfilling prizing directly. Neither Ascending Butterfly, Sponsor or Clever Girls Collective is responsible for lost or mis-directed mail. I am disclosing this in accordance with the Federal Trade Commission 16 CFR, Part 255 - Guides Concerning the use of endorsements and testimonials in advertising, you may check our Giveaway and Disclosure Page for additional information regarding Ascending Butterfly Disclosure. I 'd love to win Dark Hope: Book One of the Archangel . 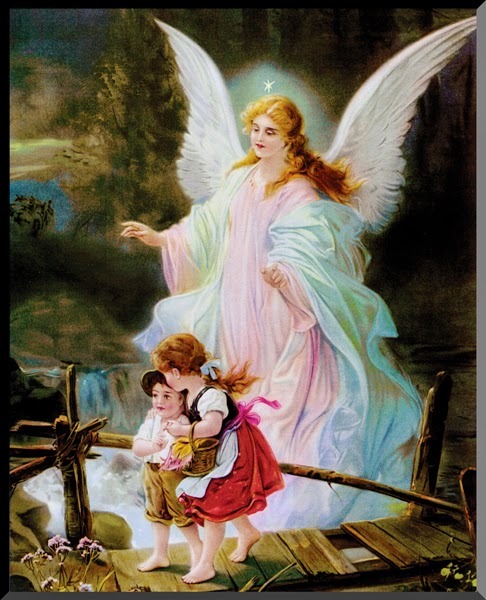 I also had that Guardian Angel plaque over my bed and I hung one over my child's crib ! I've always love all things angels so I'd love to read Monica Mc gurk take on them . Thank you for the opportunity to win this book, it sounds very interesting! Sounds like a good read. I think some angels are big mean tough guys who will fight for us. This looks really interesting! I'm entering for my daughter. I think she would really like this.